The Scythes Website : 14yrs old today. The original Scythes 'Communication hub' with a updated image. 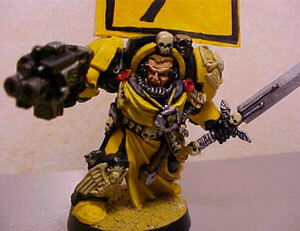 Today, 2nd of March, the Scythes of the Emperor website has turned 14yrs old. 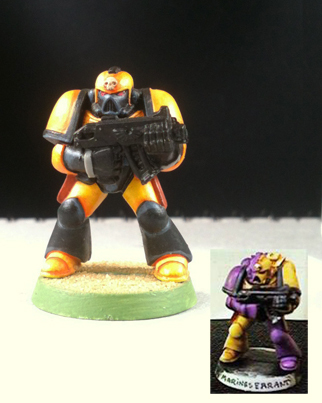 For over a decade I have modelled the Scythes in one form or another; going through several iterations of the website and even painting makeovers of the various characters. The Scythes website went live 14 years ago, you can read the full history here. 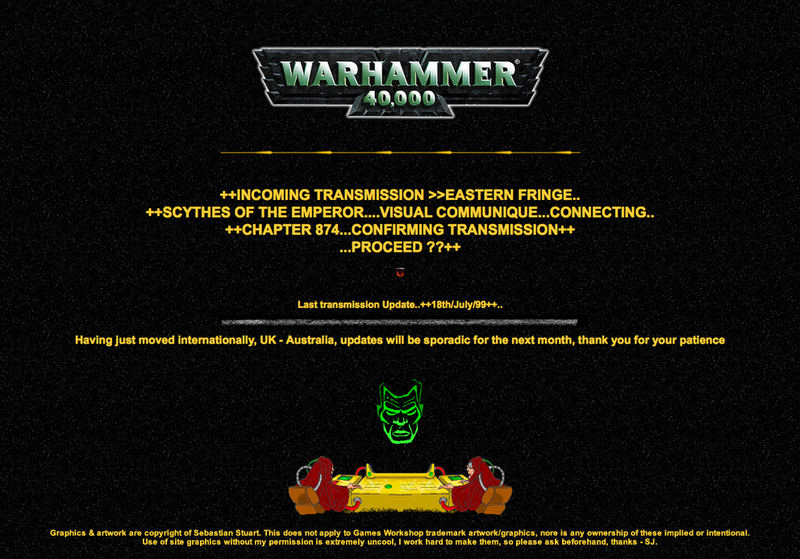 The Scythes website 1999, updating.. with dodgy old hologram! My attention waxed and waned over the years, predominantly due to my Tau, which you can see on Eastern-Empire.com, taking prominence for about three years. I have enjoyed every update and the feedback from readers over this time. 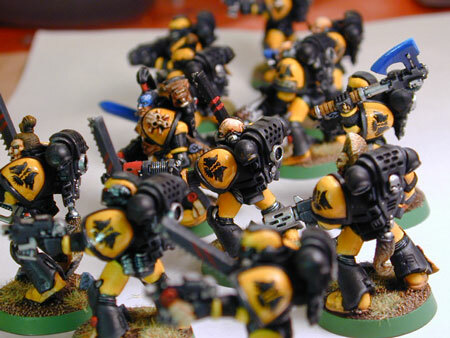 Thank you for being interested in my black and yellow obsession, quite a few of you first heard of the plight of the Scythes from this very website; such overwhelmingly crushed underdogs, they almost became a foot note in history (read the Scythes Factual PDF history here). Scythes take on Tyranids, Iagus foreground and Capt.Xaver center. 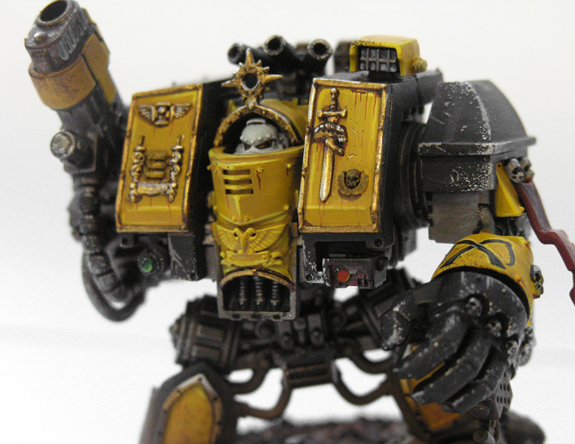 Over time the Scythes were mentioned more frequently, even appearing in war against the Tau. More recently they landed a starring role in ‘Orphans of the Kraken’ by Richard Williams, who contacted me to use the factual history PDF Andrew Taylor and I put together last year (still the most comprehensive guide, even for GW). 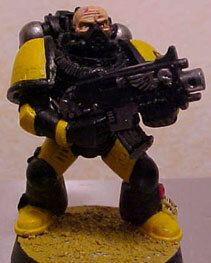 First ever Scythes Decal added to my marines (1998) Thanks Nick! Would you believe it was almost Marines Errant? 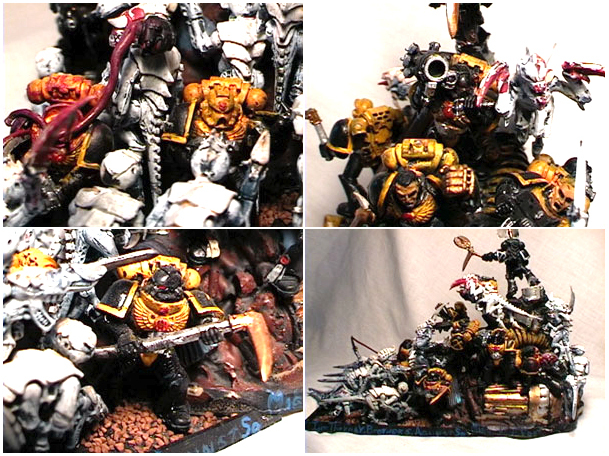 My original theme decision figures (1997). 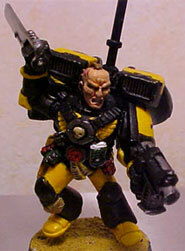 Emperor’s Crusaders Chapter (Black Templar Successor), Captain Argonius. Lochiel Guard, Col. Floyd & Cmdr Thomas commanding. 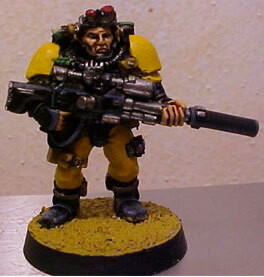 Sky Marines; Brother-Captain Matthi Baldonimi, commander of the Sky Marines’ 3rd-company. Chapter Amabutho led by Lord Duchek of Hydra. Raehan Regulars, Raehaniv Tri-system near the Eastern Fringe. 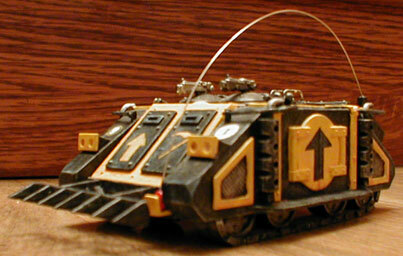 Draco Legion, leader is Lord Sherman Bishop. 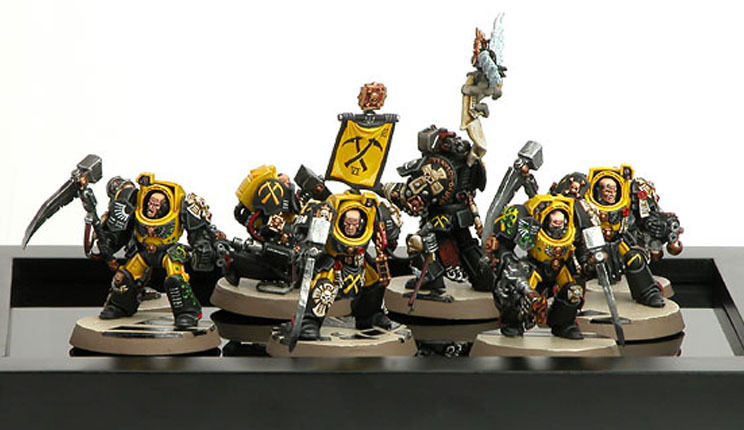 Blood Angels Chapter led by Brother Matthius. 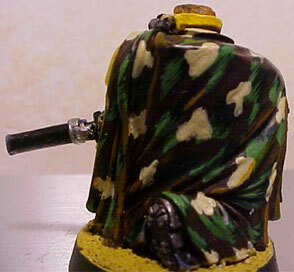 The Dark Brotherhood (Veteran Colours) led by Lord Brother John McGuire. 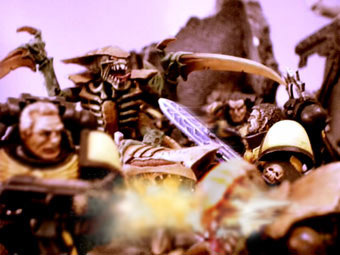 Nemesis Marines contingent perished to a man helping the Lochiel Heavy Armour Escape during the Hacun V campaign. 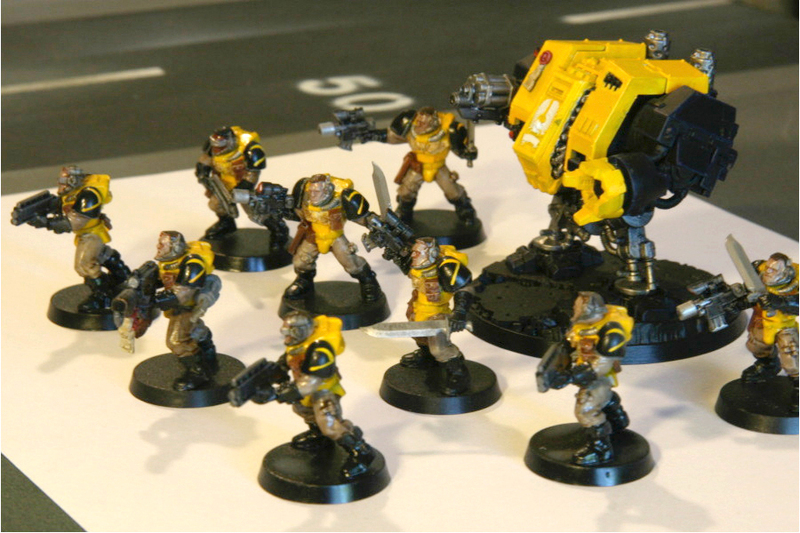 16th Cadian Rifles Regimentled by General Matthew Aurand. 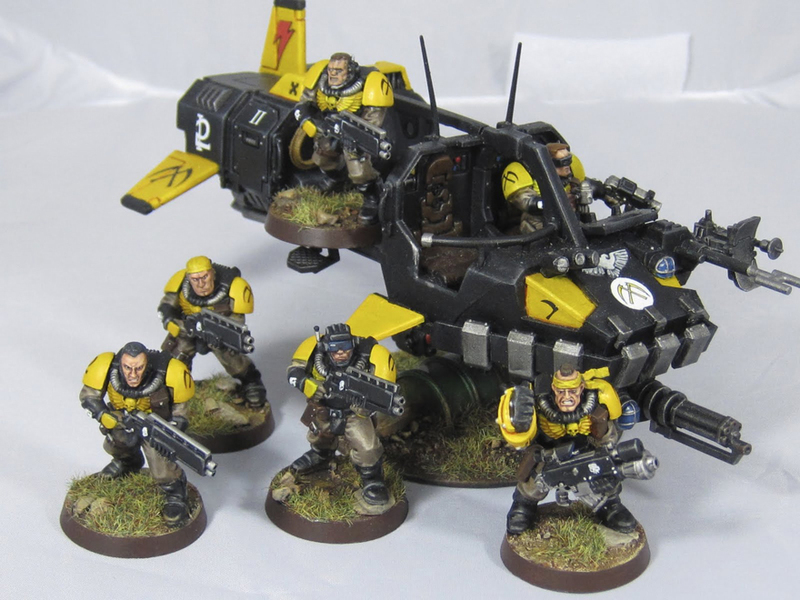 Scions of the Emperor Chapter (Formerly known as the Emperor’s Word Chapter) led by Superscion Gunnirson Radax fighting alongside the Cadian 15th Rifles. Dark Angels Ravewing contingent led by Brother-Shadow-Dancer. 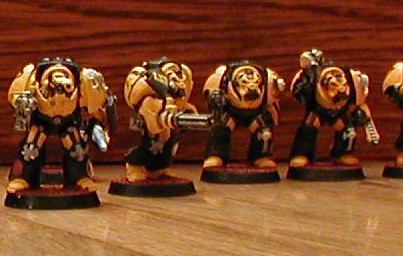 Dark Angels Deathwing contingent addition of Brother Captain Demetrius and his two squads. 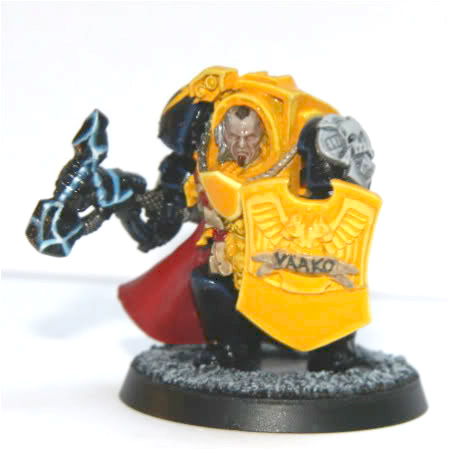 Ultramarines Chapter contingent, The Eighth company Commander Philius. Space Wolves Chapter contingent led by Wolf Lord Aengle himself. 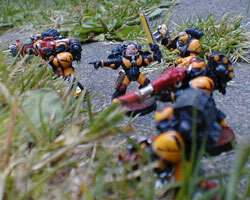 Ravenguard Space Marines Chapter contingent, Commander Sorvax leads to the field the Ravenguard Second company. So, where to from here for 2012? 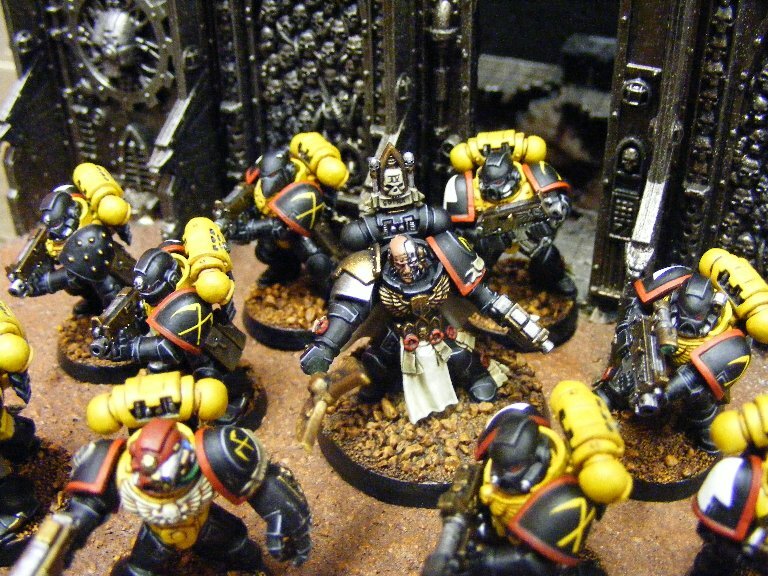 Truescale Deathwatch and Scouts is what! Thank you for visiting the Scythes website over the years and hopefully once again on this special day, enjoy the weekend and happy painting! This is a fantastic site and you are an amazing painter. 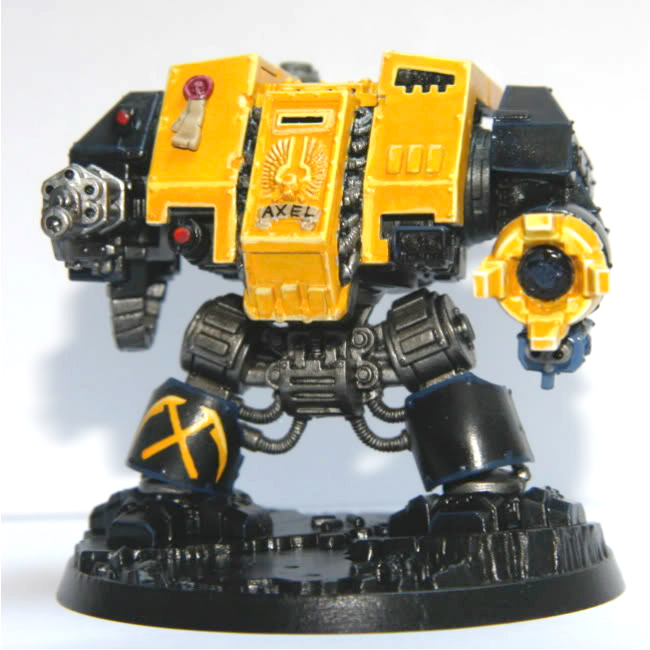 Could you tell me how you painted the black armor on the Deathwatch marine? 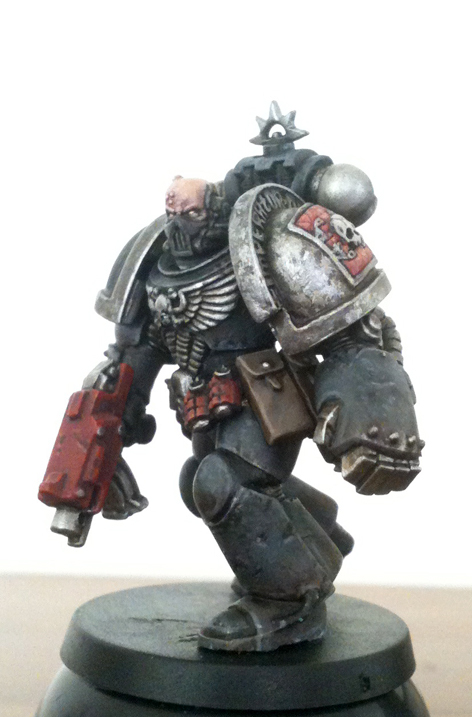 I would love to have my Pre-Heresey Dark Angels look that good. Happy Bir…er, Site Day? Maybe? Ah, well. 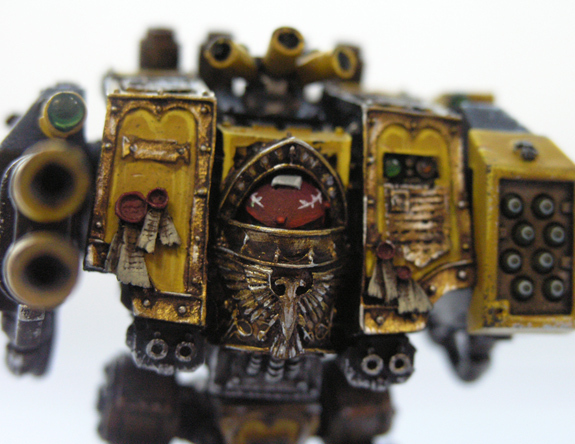 Regardless, it’s a gorgeous website showcasing absolutely top-notch hobby and background work. Glad to see you’ve stuck with it and done so well. 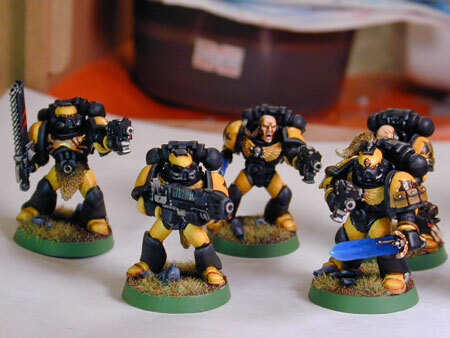 With Andrew and Jon’s Scythes on the site among my own, makes me pick up my game painting wise let me tell you! My thanks to the visitors and friends who have always stopped by and either emailed me (when it was “mailto” links only), or lefts comments in this modern blogging era today. It keeps me encouraged and I hope to offer cool imagery for years to come. Quick question. You’ve posted several photos of your Scythes from the past, but it’s not very clear how much of your collection has remained intact over the years. So I’m curious, how large is your current contingent of Scythes? I unfortunately, prior to a major move, had to sell about 3/4 of the collection. 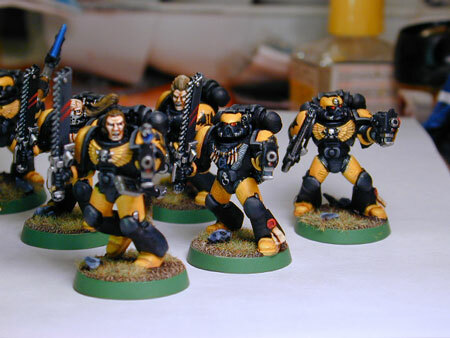 Presently I have all my favourite characters and a tactical squad of marines. Well I’m glad you were able to hold on to the models with the most sentimental value. No doubt the nostalgia of your old collection has driven your latest projects. I’ll stay tuned for updates! 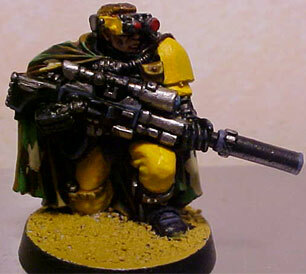 I have loved the SOE since Advanced Space Crusade. 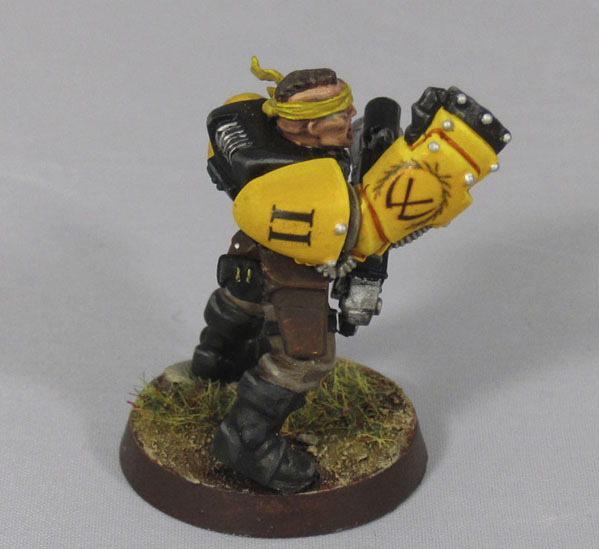 Since finding the Scythes website, you have inspired me with your work and factual history and I’m pleased to find some of my guys shown in the birthday celebrations. Send me a direct email to my personal account so I can send you some photos of my scythes! I havent got the cammera out in a while so they are old images but I may see what new images I can sort out soon. 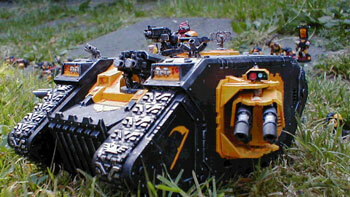 I have a couple of images from Warhammer world (my stag do) a scythe scout kill team mision photo or two and my scout speeder conversion made 3 years pre land speeder storm. Will do, be great to add them to the International Gallery! I haven’t been in here in so long, I never knew you used my own pics! Great job again and good luck with the future! !